1. 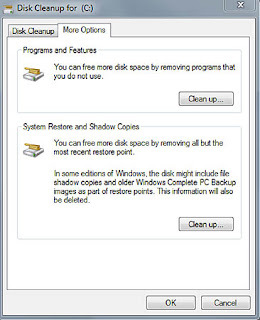 Go to Start » Accessories » System Tools » Disk Cleanup. Or go to Start, then type in Disk Cleanup in the search bar. 2. 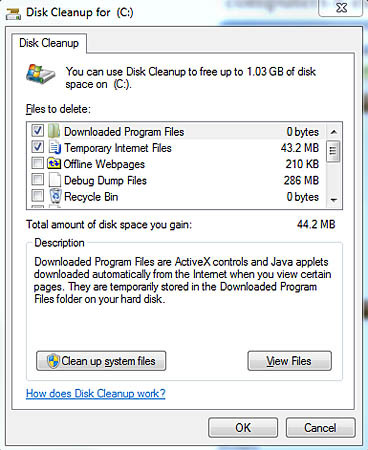 In the Disk Cleanup window, select the Files to Delete. Click OK. 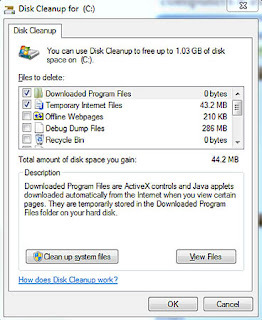 The program will ask if you want to permanently delete the files. 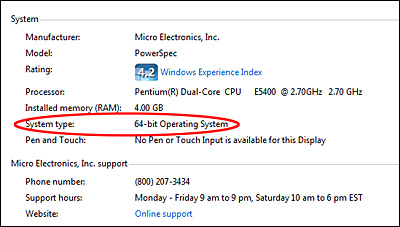 Click OK to begin the process. 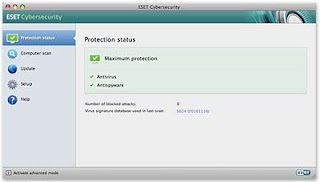 Take caution when choosing what files to delete – you cannot recover the information once removed. 1. 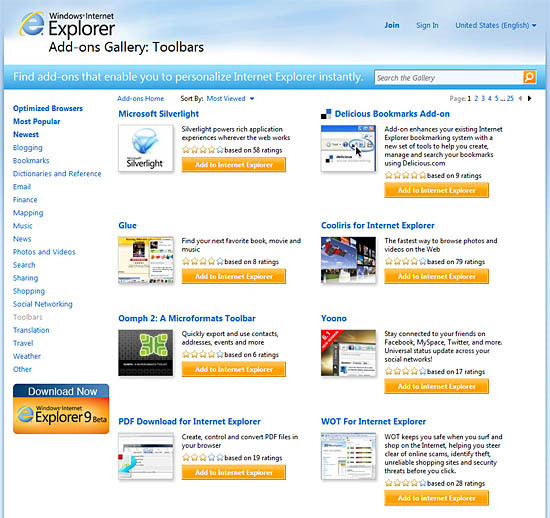 Go to Microsoft’s Internet Explorer Gallery and select an Add-on from the site. 2. 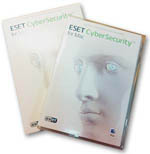 Download the file and follow the on-screen instructions. 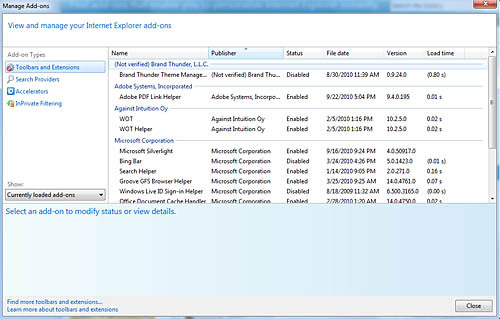 Some Add-ons may require you to restart your browser after installation. 3. 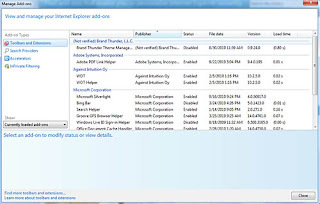 In IE, select Tools -> Manage Add-ons. This menu provides detailed information about each extension.If you need to disable an Add-on, click on the Name, then select the Disable button in the bottom right-side of the menu box. 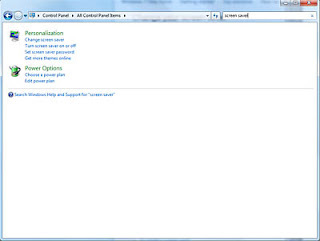 The Manage Add-on menu also has some other useful functions. 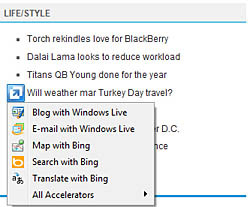 Accelerators are a new feature of IE that can give you quick access to common menu items by simply selecting a word on a web page. 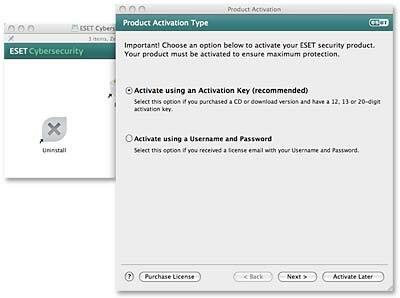 The InPrivate Filtering option helps to regulate unauthorized tracking of your browsing activities. You can activate InPrivate Filtering using the Safety menu on the Command Bar. 1. 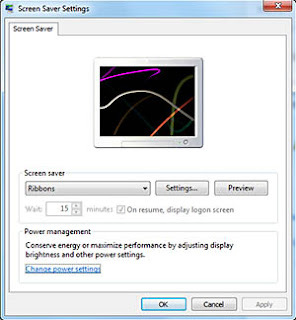 Scroll to the menu bar at the top of the browser. 2. Right-click to reveal the Toolbar menu options. 3. 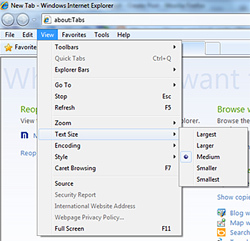 Select which Toolbars to show or hide within the menu. 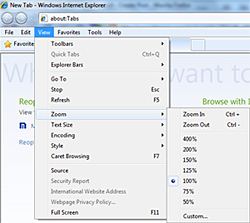 There are two methods for adjusting the text size in IE. 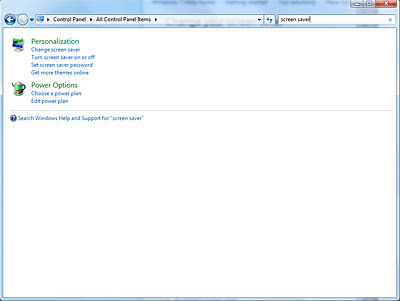 The first example is using the View option on the Menu toolbar. 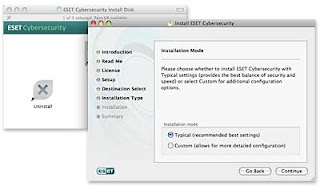 The second is to use the Command Bar. 3. 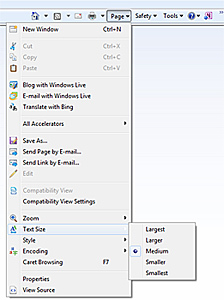 In the menu, choose which text size that you prefer: Largest to Smallest. 3. Choose value from Largest to Smallest. Similar to adjusting text, the Zoom feature can be changed under the View menu or Command Bar. 1. 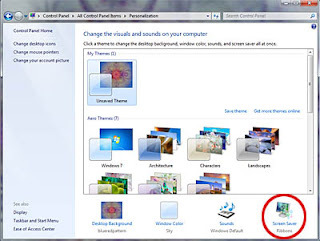 In Menu toolbar, click View. 3. 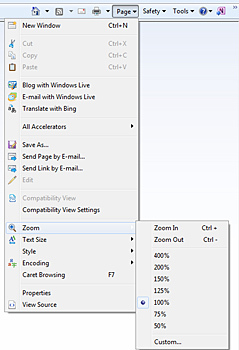 Choose a Zoom size option. 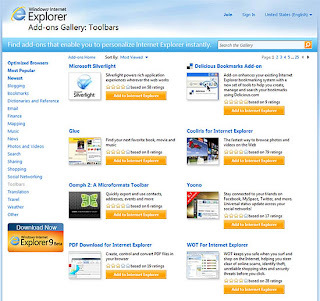 IE offers preset Zoom sizes or customized Zoom. 3. Choose a Zoom option. 1. Right-click on the menu bar. 3. Select Use Large Icons.